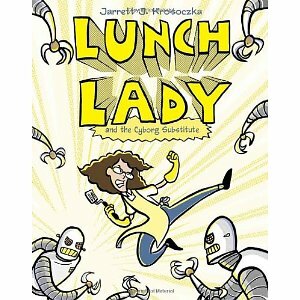 I just read and loved this book…I also enjoyed the fun details like the fish-stick nunchuks and spatucopter. I didn’t read it in a British accent, though. Next time! So glad you liked it! The fish stick nunchuks were one of my favorite details. : ) I actually haven’t tried this one with a British accent – you’ve given me such inspiration now! : ) Thanks so much for your comment. Happy reading!